The LEGO brick may be the most popular toy in the world, but its much more than just a toy. In The Cult of LEGO , John Baichtal of MAKE Magazine and Wired s GeekDad blog and Joe Meno of BrickJournal take readers on a story-packed adventure through the history of LEGO, from its humble beginnings in a small Danish village to its ascent to the summit of the toy world. Along the way, readers are immersed in the fascinating world of LEGO and its fans. They learn hundreds of obscure LEGO facts as theyre surrounded by countless fantastically complex and challenging models built by some of the most famous adult LEGO builders. Both deep and wide-ranging, The Cult of LEGO is sincere, admiring, and encyclopedic in its coverage, surveying everything from gigantic models to robots to genuine works of art. 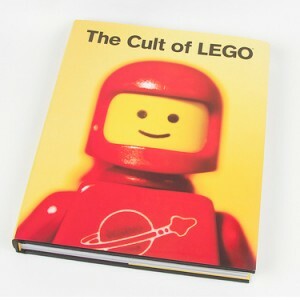 Exhaustively researched and lavishly illustrated in full color, The Cult of LEGO is destined to be the definitive guide to LEGO fan culture.